Hi there, my darlings! Now most of you know by now that I'm always on the hunt for great lotions and body creams--I'm picky about them so it's often hard to satisfy my expectations. But today, I'd like to share one with you that I think everyone should have in their skincare stash--Made from Earth's Aloe Vera and Jojoba Creme Therapy. Our best seller! This signature series organic Aloe and Jojoba Nut Creme Therapy contains highly concentrated amounts of Aloe Vera and Rooibos Tea leaves. Rooibos is a powerful antioxidant while the Jojoba nut provides anti-bacteria and preservative properties. Our custom formula of Aloe juice and Jojoba Nut oil create a powerful creme that attacks free radicals and limits their damaging effect on your skin. Even thought Jojoba Nut oil is referred to as an "oil", it is actually a liquid wax, which possesses almost identical characteristics to human skin. Human skin also contains wax esters for which production steadily decreases with age, causing the skin wrinkles. The extract from Jojoba Nut contains alpha, delta, and gamma Tocopherol, which are all forms of vitamin E. Unlike "oil in water" skin formulas which evaporate when they reach the skin's surface, Jojoba fluid penetrates the skin layer forming a non-greasy layer for moisture. Jojoba prevents stretch marks thanks to the elastic effect on the skin. It should also be applied after exposing the skin to the sun, because Jojoba contains curative properties which will reduce inflammation and prevent flaking. Aloe vera's beneficial properties are attributed to the liquid found on the inner part of the leaf. Aloe Vera is not a gel; it is a thin liquid. All retail store aloe vera gels contain over 70% of cosmetic filler causing the "gel like" substance. The amount of aloe vera in those gels is less than 5%. The FDA requires that all skincare companies list their ingredients in order of concentration first from left to right: note in our ingredient list the Aloe Vera is listed first because the majority of our formula is not filler or chemicals - it is organic aloe vera. Directions: Apply cream to body 2-3 times per week after showering. The cream is also pH balanced for face applications. 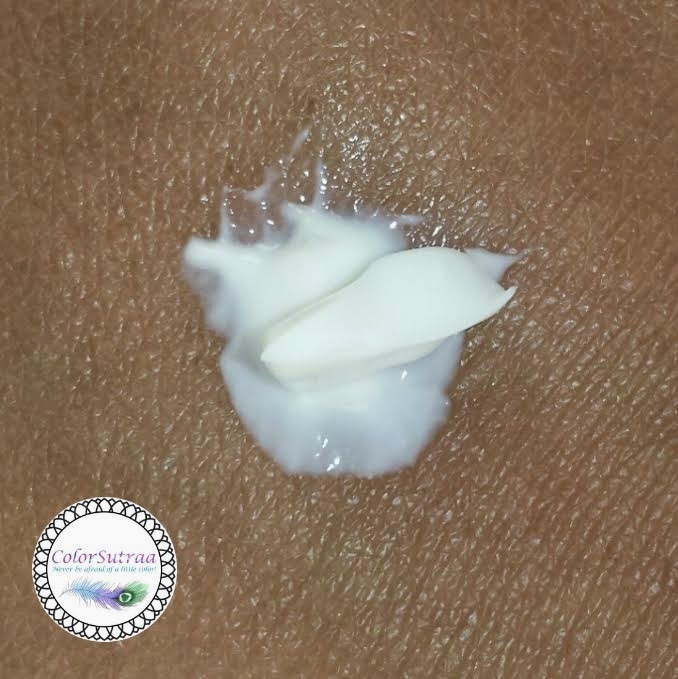 USES AND IMPRESSIONS : I'm a huge fan of Aloe Vera--I was prescribed an ointment with aloe when I suffered from a painful skin condition while in India. Aloe Vera is wonderfully soothing on irritated skin while still being gentle enough not to aggravate sensitive skin. I find it particularly useful on burns, scars and especially after waxing or shaving. With the added benefit of Jojoba, this is a great addition to anyone's stash! So there you have it, my darlings! 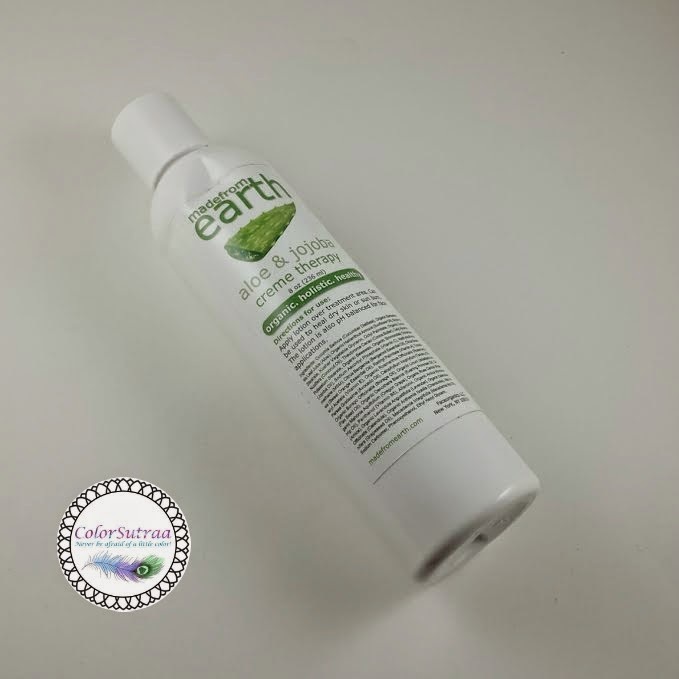 If you would like to pick up Made from Earth's Aloe Vera and Jojoba Creme Therapy, you can find it on their website HERE for the price of 24.99 for a full-size, 8 fl oz bottle. But wait! The company has generously offered to give away the product to one of my lucky readers! Use the Rafflecopter to below to enter! ENDS 5/9/2015, at 11:59 pm EST. Good luck, my darlings! I really enjoy your blog - thanks for taking the time to share your thoughts and opinions about new products!